Incense Grass plant, Hierochloe odorata, is also known as Sweetgrass. Incense Grass is an aromatic grass that develops a sweet scent on drying. Dried grass sometimes braided and used to purify the air and burned as an incense. A tea of the leaves used to treat vomiting, sore throats and bleeding. Incense Grass plant has circumpolar distribution and prefers moist rich soils in an open sunny position. Frost resistant but drought tender. 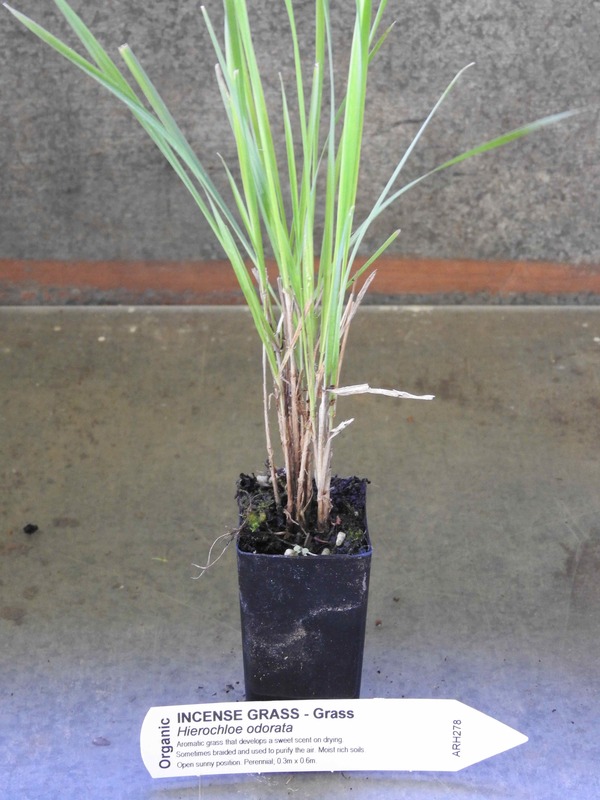 A perennial rhizome based grass, growing to 0.3m x 0.6m. Golden flowers. Be the first to review “Incense Grass, plant” Click here to cancel reply.